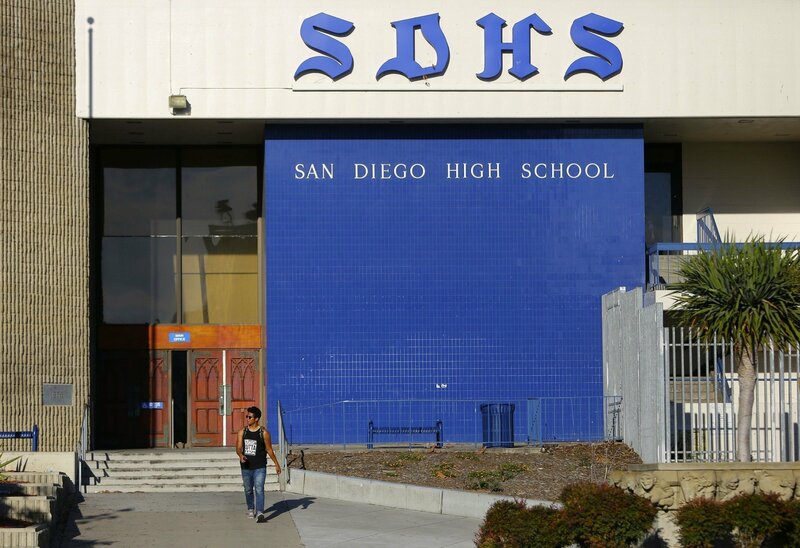 The San Diego Unified School District piloted an internship program aimed at teaching students about sustainability—one of the fastest growing job markets in the United States—through real-world applications of energy efficiency technologies such as LED upgrades. Opportunities for real-world applications of classroom lessons are rare for students, especially in STEM-related fields like sustainability, energy, electricity and clean technology. Getting students excited about these fields is essential, as they are among the fastest growing job markets in the United States. San Diego Unified School District used/is using a sustainability internship program to address this/these challenge(s). The school district partnered with lumeo to pilot an internship focused on sustainability and clean technology. High school seniors learned how to audit lighting systems and perform energy/financial calculations. Students performed a lighting audit of their campus and presented the energy and financial impact of an LED upgrade to school and district administration. Of twenty college-bound students who participated in the program, ten now want to study energy or sustainability (not a single student was interested pre-internship). Of two career-bound students who participated in the program, both now want to be electricians (neither did pre-internship). Five particularly interested students are helping audit the San Diego Natural History Museum to develop more experience. It is just as relevant for career-bound students as it is for college-bound students! Municipalities and school districts interested in education & workforce development in the sustainability and clean technology industries.